This is where all the announcements from the admins will be posted. These include set releases, tournament dates, updates, etc. All tournament info will be posted here. If you want to participate in a tournament, fill out the proper application form. All the rules of the academy will be posted here: Testing, Experience, Rankings, Reputation, Dorms, and Neos (academy cash). All the staff will be posted here. Any problems you have can be reported to any of the admins and testing issues for testers. They will also have a short bio about themselves so you can know them better. In order to become a tester or an admin, you must fill out the application and meet the specific requirements. Here you can introduce yourself to the academy and get yourself known. Please be kind and courteous to all the members of the academy. Talk about anything you want. However, no foul language, illegal cites, and inappropriate internet sites. All of the test results for all new recruits will be posted here. 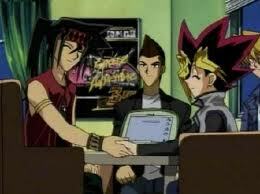 Here duelists can wager earned Neos cash in duels to increase revenue. Come to a consensus before deciding how much is being wagered. If you need help with your deck, post your deck list here and let the academy population help you out with their own ideas and critiques. Only the best duelists can be members of this dorm (rank 1). Members of this dorm will represent the academy in Academy Wars. This dorm is for the intermediate players that are working their way up to be the best duelists (ranks 2-3). These members help promote academy tournaments. This dorm is for the beginners and the slightly intermediate (ranks 4-6). All members can join teams, make teams, become deck merchants, and introduce themselves to the academy to get them more well known. Card rulings are very important in the most popular card game in the world. Common Card Rulings will be placed here and discussions about them will go here as well. 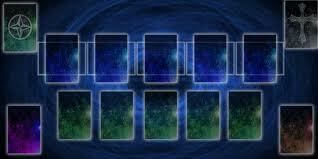 Here is where we shall post what we think tier decks belongs as in tier 1, tier 2, tier 3, and all students are allowed to post their opinions and shape the list and post there own and according to your own posts and opinions. We (admins/headmasters) will repost the list to your thoughts so people can know the tier deck lists. Teams are groups of members that will represent us in team/tag tournaments and chat about their similar ideas. In order to create a team, just PM an admin and have their approval. Each team must be at least 3 members and no more than 12. Here is where anyone can create their deck recipes for sale and become deck merchants. Just PM an admin to confirm your set prices and your good to go. If you need help with your deck, join a class and we are sure that our staff will help you in anyway they can. If you feel like pretending to be like someone else, post your role playing idea here and have fun with it. If you want to make a story line as well go right ahead. However, refrain from cursing and other fowl language. Here you can post any suggestions you have that could benefit this academy and make it the best academy on Dueling Network.